Are you looking to retire in a place with mild winters and hot, dry summers? 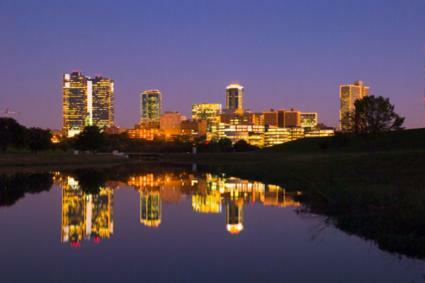 Ft. Worth, Texas might be the perfect place for you to spend your glory years. Not only are their a lot of senior citizens apartments in Ft. Worth, Texas, but you can find a ton of recreational opportunities and Texas doesn't tax retirement income. If you're looking for the cheapest places to retire, add Texas to your list. It's one of nine states in the U.S. that doesn't tax retirement income. Set in the Plains region of Texas, the average temperature of Ft. Worth is 65 degrees, and while the winter is mild and blissfully short, the summers are hot, dry, and long. In Ft. Worth, you'll enjoy a medium-size community with metropolitan benefits. The city is 30 miles from Dallas, and there are many smaller communities in between. There are 20 hospitals and seven colleges and universities, including the University of Texas at Arlington and Texas Christian University. The city has six large lakes for water sports and boating, parks with swimming pools, and miles of hiking trails. There are many options for senior citizens apartments in Ft. Worth, Texas. This listing provides an overview of choices. Hill Villa Senior Living hosts studio, one- and two-bedroom apartments without kitchens, with multiple floorplans for one-bedroom units. Full meal dining is available, as well as housekeeping services, and scheduled transportation, plus recreational amenities. Home Towne at Matador Ranch offers "active senior living". Apartments include kitchens, and there are multiple floorplans for one- and two-bedroom models. Gardens, community kitchen, two pools, detached garages, and an arts and crafts center are just a few of the many amenities. The Waterford offers a multitude of studio, one- and two-bedroom apartments on a month-to-month rental basis. Most have kitchens or kitchenettes. Community amenities include a game room, beauty salon, dining room, guest suites, and a library. Presbyterian Village North is not actually in Ft. Worth, but in North Dallas. The center offers a full range of residential living options as well as assisted living and nursing home care. A full dining room, a wellness center, and an auditorium for worship services are just some of the amenities. Make sure to get a comprehensive listing of services and amenities that may or may not be including in buy-in costs, monthly rentals, or separate community fees. Some locations may have rates that are all-inclusive, while others might offer a staggered rate of services. It might be best to order brochures to do side-by-side comparisons before arranging a visit. It's also important to consider whether you need access to medical services. If not, you shouldn't have to pay more to live in an apartment community that has these services as part of the overhead. To get more information about senior citizens apartments in Ft. Worth, Texas, senior centers, and other services, check out the Magic Yellow page for the area. Also visit Elder Options of Texas.